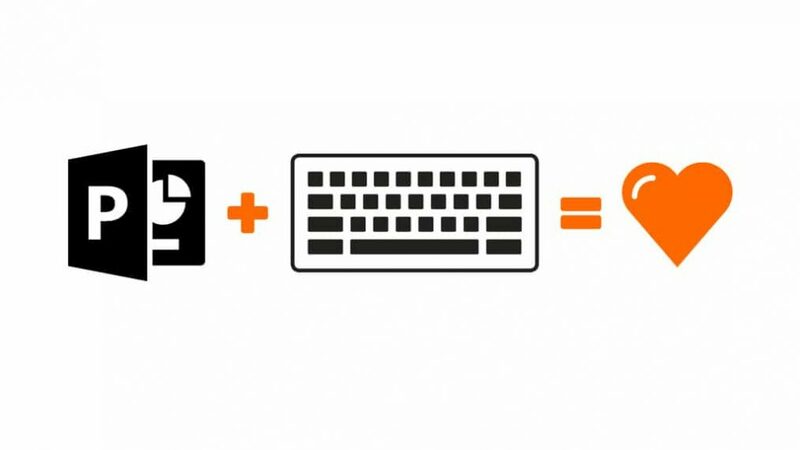 Try These 12 PowerPoint Text Editing Hotkeys to Help You Save Time! We’ve done loads of videos on how to help you guys make sleek PowerPoint slides. This week’s tutorial is going to take on a different approach. It’s about saving time when drafting your slides. Specifically, we are going to teach you guys some text editing hotkeys. No matter what PowerPoint slide we have, there is a 99.99% chance we are going to have some text in them. Problem is, I’ve seen people spend too much time formatting the text on their slides. Instead, they can dedicate some of that time to other areas. So I’ve combined a list of text editing hotkeys for us to make to make us of. For your convenience, I’ve split them up into categories. I strongly recommend that you watch the video above for a live demonstration of all the hotkeys. Press Control + Left / Right to move right or left one word. Press Control + Up / Down (this works with bullet points and numbering schemes as well). Press Home or Press End to move to the beginning/end of a line in a PowerPoint text block. Press Control + L to align your text to the left of your PowerPoint text block. Press Control + R to align your text to the right of your PowerPoint text block. Press Control + E to align your text in the center of your PowerPoint text block. Press Control + J to justify your text within your PowerPoint text block. After highlighting a paragraph, press Alt + Shift + Up / Down to move your paragraphs one paragraph up or one paragraph down. Keep in mind this works for bullet points and numbering schemes as well which makes it super effective. Press Shift + Control + Right / Left to select specific words within your PowerPoint text block. Press Shift + Control + Up / Down to select specific paragraphs within your PowerPoint text block. Now, obviously, there are other text editing hotkeys that we can make use of. However, I think those are the main ones that will serve you well. Be mindful that these hotkeys will work on most, if not all, of the Microsoft Office suite software. This includes stuff like Word, Outlook, even Excel in some cases. Hope this helps you guys save time when making your awesome slides! See you all next week!